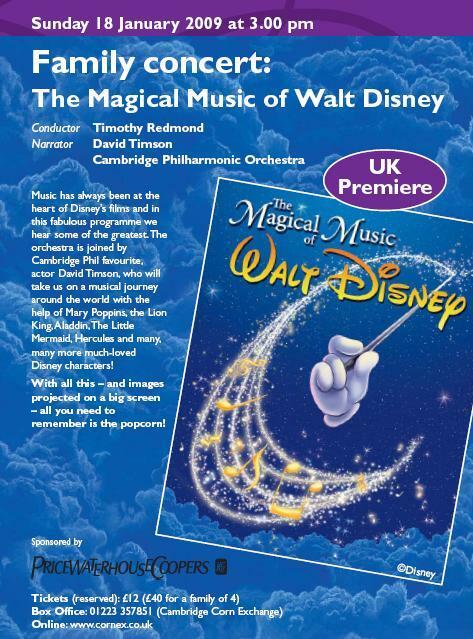 The Cambridge Philharmonic Society will be playing a selection of tunes from a number of Walt Disney Films on Sunday 18 January 2009 at The Cambridge Corn Exchange. 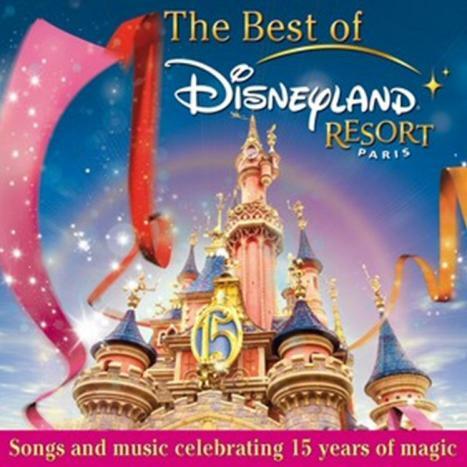 Music has always been at the heart of Disney’s films and in this fabulous programme we hear some of the greatest. The orchestra is joined by Cambridge Phil favourite, actor David Timson, who will take us on a musical journey around the world with the help of Mary Poppins, The Lion King, Aladdin, The Little Mermaid, Hercules and many, many more! With all this and images projected on a big screen, this UK premiere will be a night to remember!